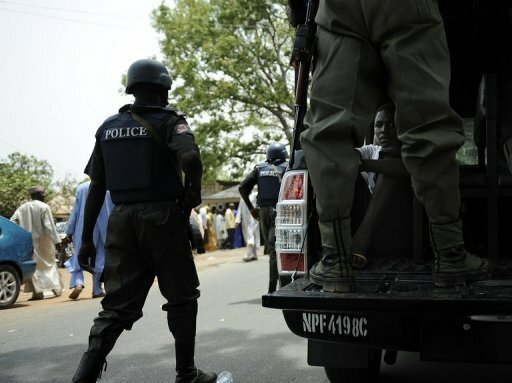 The police in Akwa Ibom State on Wednesday shot a resident for allegedly picking stolen money which dropped along Wellington Bassey Way , Uyo. Our correspondent gathered that a three- man gang had snatched the money from occupants of a government - owned car . The gang was reportedly moving the money into a getaway vehicle seized from a female motorist , when some of the cash fell on the road . A witness , Mr . Joe Inyang , said , “The people who owned the money were in a Toyota Camry with a government number plate , AK 705 C01 . They appeared to be coming from one of the new generation banks , where they withdrew the huge amount. “ As their driver was going through Paul Bassey Street, he noticed the robbers , who were in a Toyota Corolla . They were on his trail . “ As he tried to link Brooks Street , he rammed the vehicle into an oncoming Toyota Camry . It was then that the robbers blocked access to the government car . “ At that point , the robbers seized the vehicle and started shooting continously into the air . They shattered the boot and doors of the car with bullets to get access to the money , which was in Ghana- Must - Go bags . The woman whose car was used as a getaway by the robbers ; the man who sustained gunshot injuries; and the driver and other occupants of the government vehicle , were seen by our correspondent at the ‘ A Division ’ of the state police command on Wednesday . A resident , who did not want his name in print , told PUNCH Metro that the robbery could not have occurred without the involvement of people in government or the bank, adding that the money could not be less than N50 m .
The Commissioner of Police in Akwa Ibom State , Mr . Mu ’ azu Zubairu , did not answer calls that were put across to his telephone . He did not also respond to a text message sent to his line . The Police Public Relations Officer , Mr . Chukwu Ikechukwu , when contacted , said he was not in the state .